Different types of Zener diodes were irradiated from 45 kGy to 220 kGy using an electron beam accelerator. Their breakdown voltages were studied by constructing a current-voltage curve of the Zener diodes. A trial experiment concluded that the densities of the Zener diodes were to be a problem if the diodes are to be used for dosimetry. Results showed no effect to the Zener diodes with breakdown voltages from 3.6 V – 33.0 V. Another set of Zener diodes were irradiated but with higher breakdown voltages. The Zener diodes with breakdown voltages starting from 51.0 V and above, have shown more obvious changes in their breakdown voltage. The breakdown voltage shifted further to the left, therefore, they decreased as the dose increases. This idea can be used as a reference when using Zener diodes as dose monitors. K. M. Cornejo, R. J. Fernandez, and H. Domingo. 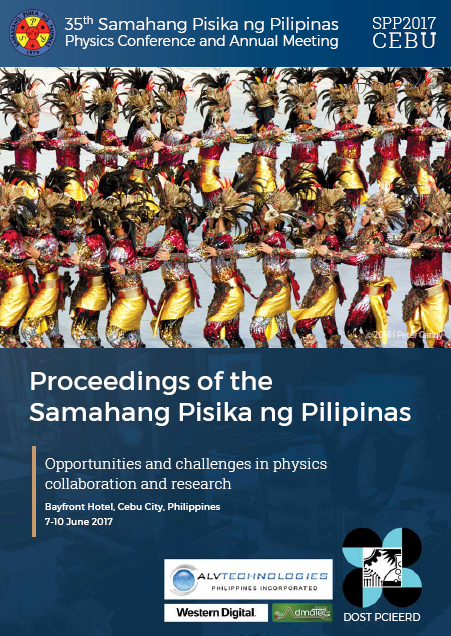 Zener diodes for electron beam radiation dosimetry, Proceedings of the Samahang Pisika ng Pilipinas 35, SPP-2017-PA-09 (2017). URL: https://paperview.spp-online.org/proceedings/article/view/172.